A number of studies have shown that greater workplace diversity is a net benefit for businesses, and many companies understand the value it provides. However, many hiring experts point out that there's a difference between understanding something and enacting changes that help make it happen. Everyone has biases, whether they acknowledge it or not, according to the Forbes Human Resources Council. By anonymizing applicants' resumes or cover letters, so that everyone is being judged solely on their merits, companies may be able to reduce the role biases play in hiring. 2) Don't worry as much about "culture fit"
If offices aren't diverse to begin with, then focusing a lot on whether an applicant fits into the culture can perpetuate the problem, the Forbes Human Resources Council further noted. Bringing in highly qualified candidates who might be able to alter the culture a bit can actually be a net positive for businesses. When trying to center diversity as a hiring priority, companies would be wise to think beyond the position or positions they're trying to fill, tech job expert Maynard Webb wrote for Forbes. When they think about the impact that a diverse, qualified hire will have on entire departments - or the company as a whole - it's more likely that they will take bigger steps forward as a group. Posting job listings on the same kinds of websites that have gotten all your other hires might only lead to companies having a relatively uniform employee group, Webb said. As a result, fishing in some different ponds - such as exclusively on social media or with people straight out of college - may help businesses find great candidates they otherwise might not have uncovered. If a business has at least a few "outside the box" employees on staff already, it can be a great idea to ask them if they know anyone who would be interested in an open position, according to the Forbes Coaches Council. Those workers are likely to be invested in making the company better as a whole, so they would be more likely to recommend someone who has the qualifications but may also be a little more unique than what the firm is used to. 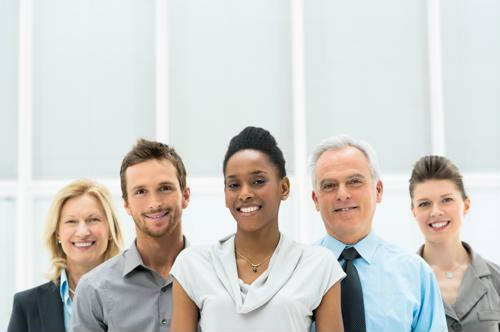 If your company has a diverse group of managers, it's more likely to be more attuned to hiring diverse employees, the Forbes Coaches Council added. Put the other way, when companies are trying to be more diverse but have a relatively uniform management group, it becomes harder to hire great candidate who shakes things up a bit. It may also be wise to simply bring more people into the hiring process so that there are more eyes on everything from resume screening to interviews and final decisions.